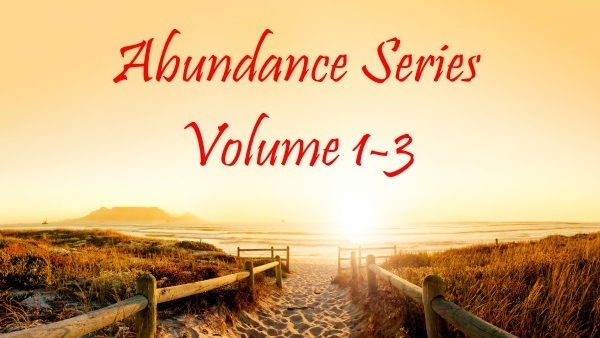 ​In this frequency healing track Elke addresses the imbalances and frequencies that are ​holding you ​trapped within your mind​​​​. 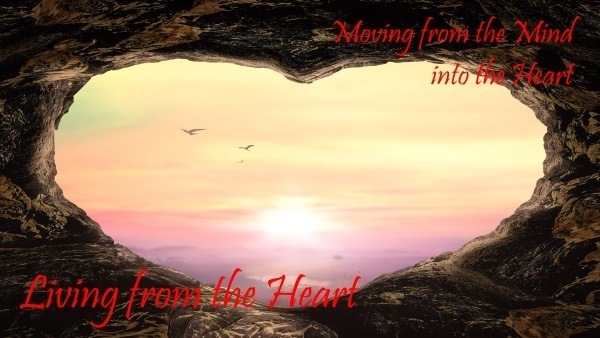 She ​incorporates ​beneficial frequencies, energy healing and subliminals​ to ​assist you​ to to move out of a mind based life into a heart based life. 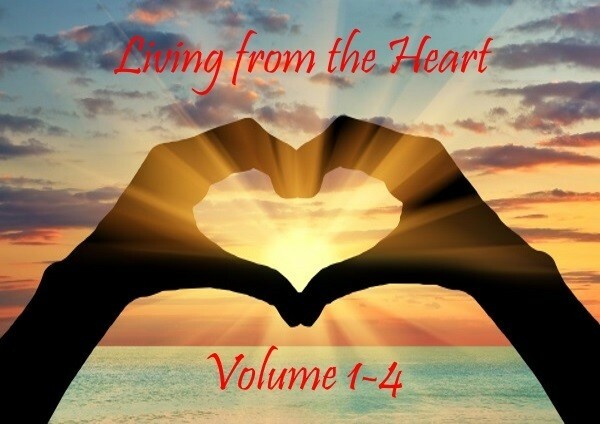 This recording is part of the Living from the Heart Volume ​5. Save 40% compared to purchasing as a single product. This is the biggest and most important step for every human during this big and amazing shift of paradigms on this planet. Even though at first sight it might seem so easy, this is truly the hardest thing to do for almost everybody. For millennia the mind and the ego have been touted as the biggest thing since sliced bread (and I am just kidding with this one ). On a more serious note. The mind has been and still is purported as the most powerful thing that has ever been created by evolution (a belief that those that are more into science have) or god/universe (for those that are leaning more towards the religious/spiritual side). The mind has been seen as the center of creativity and the brain, for many, is the center of one’s identity or who they think they are. The faster someone can think and the more information they can store, the more powerful (as in ego power) many perceive someone to be. Even though some of the brightest people on the planet, that are perceived to have had the brightest minds - like Einstein, Tesla and the like - only got to this level, because they were able to open up their minds to such a degree, that they were able to bring through the information from their higher states of consciousness. Not because they were exceptionally intelligent or had the biggest brains. The mind and the subconscious by many are still believed to be the driving forces of who they are, as they – especially the subconscious – contain all our stored identities, beliefs and all the bought in stories and patterns of who we think we are and how everything is supposed to be. By having the mind in the driver’s seat and believing in the power of the mind, instead of listening to that voice deep inside of their heart, that is the truth of who they really are, many are limiting themselves into looking through a tiny little peephole, that is the mind/subconscious, instead of opening up to see through the eyes of the whole universe and beyond. Let’s have a look at the old mind/ego-based paradigm and all the systems that it has created and then look at it through the eyes of the heart. The mind sees everything as outside of itself. It compares itself to others and thereby measures its success or failure. The heart knows that everything comes from the inside, that everything is just an experience and that there is no such thing as success. The mind perceives itself as a separate self. This little self is always battling against something, be it others, the world or even itself. The heart knows that there is no separation, there are many – many facets of itself (yourself), but all is like a beautiful composition, where every part is needed to contribute to the beauty of the whole. The mind wants to put everything into boxes, it wants rules and measurements for anything and everything. It wants everything to be a certain way and then wants this to last forever for its own comfort and safety. The heart knows no boxes, it knows that every experience has its beauty and sees it for what it is. It sees the joy in everything and enjoys everything, even the so-called challenging experiences. It embraces, and invites change, as this is how it (you) grows and expands. The mind sees and perceives only black or white (duality). For the mind there is only good or bad, right or wrong, hot or cold and so on. The mind only perceives things to be one certain way and then this is the way it is and is supposed to be forever (at least as far as the mind is concerned). The heart sees black, white and every shade and color in between. It knows that there are countless perspectives on anything and everything. It knows that there is no ONE way, that everything is a matter of perception and that everything has its place and value. It knows that everything constantly shifts and changes, as you are constantly shifting and changing. I could go on with this comparison for a long time, but I trust the examples above are offering a pretty good picture on the differences between the mind’s view and how the heart sees it. Can you see and feel the confinement and all the limits that lie within the mind-based paradigm? Can you feel and see the expansiveness, playfulness and joy that comes with living from the heart (which is you)? Living without separation, without limits, boxes and confinement. Creator experiencing, expressing and creating within and throughout creation. Living its full potential and beyond. Why don’t you come and join me in this beautiful playground of the heart?